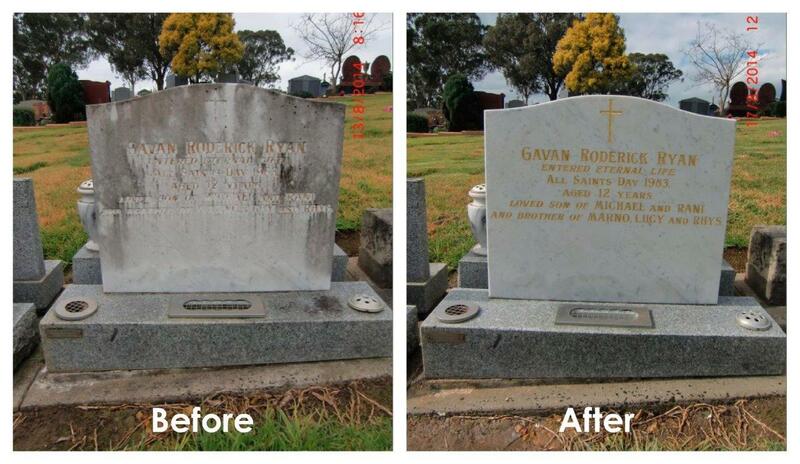 Got an old memorial that needs bit of TLC? Please give us a call to discuss. 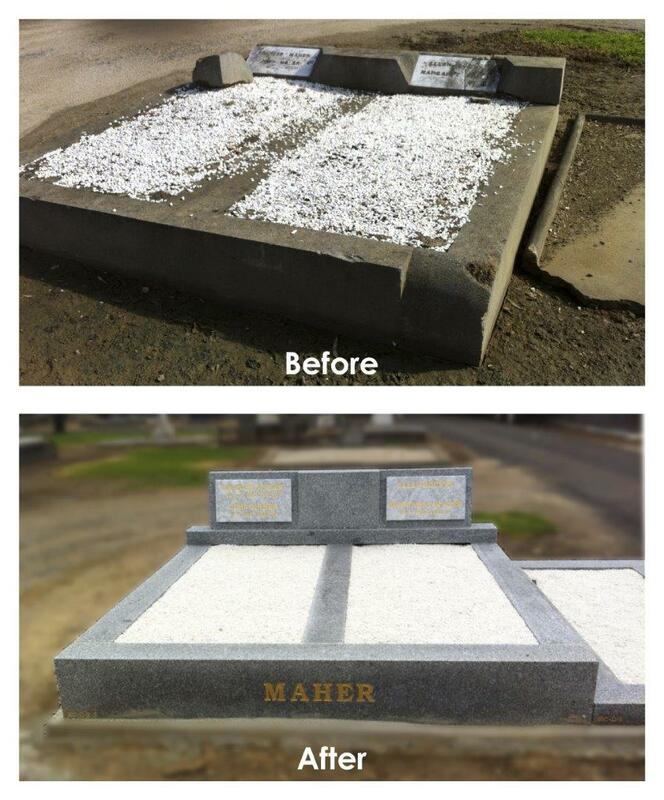 You’ll be amazed at what we can do to rejuvenate your precious monument! Please click on any of the images below to see larger versions of our “before” and “after” comparisons. We use only the highest quality stone and will work with you to design and create a memorial that will satisfy your every requirement in an atmosphere of understanding. Call us now to make an appointment to discuss your requirements or to request an obligation free quote. Please click on any of the examples of our work below to see larger versions.